On- Air Wine Tasting @ Bay Radio! 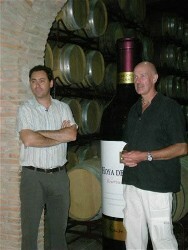 The next On-Air Wine tasting on Bay Radio will be on Sunday 10th June, 12:00 – 13:00 hrs, Spanish Time. Your chance to try the recommended wines with the Sunday Brunch recipe of the week! Next Bay Radio On-Air Wine/Food Tasting! For your information the next On-Air Wine/Food presentation on Bay Radio will be this coming Sunday, 13th May, 12:00 hrs – 13:00 hrs Spanish time. You can listen live – www.bayradio.fm click Listen Live. Presenters Bob and Noelle give me their recipe of the week and I try and pair it with a Spanish wine. This week we have two Chinese style BBQ meals and I have come up with some interesting, maybe controversial(? ), wines to accompany them! Your comments are welcome afterwards (colin@colinharknessonwine.com) plus by all means call the studio when we are on air! I’m really looking forward to my first panel sitting as a new International Wine Judge for the International Wine and Spirits Competition (IWSC). I’ll be in Guildford in early April for four days judging Portuguese and Spanish wines and am now therefore able to use the above logo and indeed to correctly call myself an approved International Wine Judge. I see this elevation to the position of International Wine Judge as recognition of all the wine work I have undertaken during the last 21+ years, particularly that done here in Spain for the last 15 years! 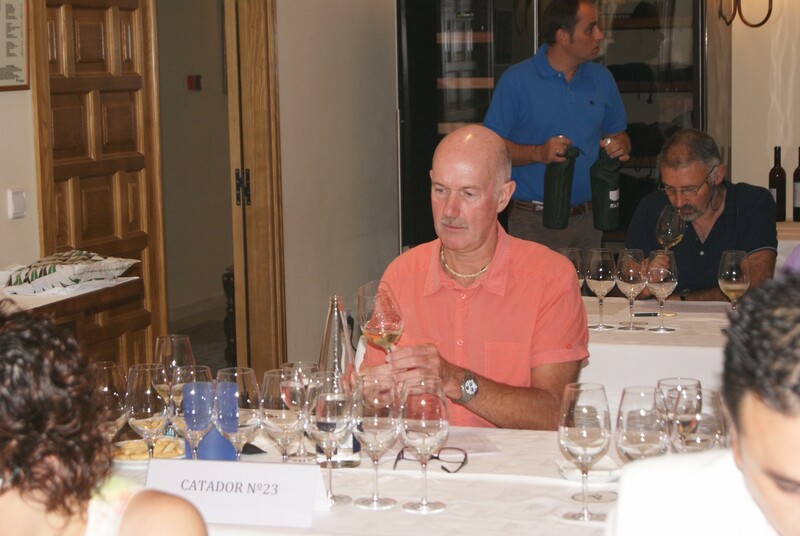 During this time I’ve played several roles in the wine world, including wine: educator; consultant; exporter; importer; broker; tasting presenter; broadcaster; TV presenter; tour guide; critic; and writer. Indeed I’ve written over a million words about, mostly Spanish wines during my time here. I’m looking forward to the challenge – wish me luck! Yes it’s that time again – the Live On-Air Wine Tasting held at 12:00 hrs (Spanish time) on Bay Radio’s Sunday Brunch Programme! This can be accessed via the Internet at www.bayradio.fm click Listen Live as well as by tuning in on the radio. I’ll be recommending wines to accompany Co-Presenter (with hubby, Bob James) Noelle’s recipe of the week and as usual we are looking forward to an entertaining, fun and hopefully informative hour! Why not join us and even take part by calling the studio whilst we are there to make your comments/ask any wine related questions? I’m really looking forward to the huge Wine and Food Fair, Alimentaria, where I’ll be going 26th – 29th March. I’ll be covering the fair for the Costa News Group; Bay Radio; and Living Spain (UK Magazine). All the wine producing areas of Spain are well represented at this event and there are literally thousands of wines to taste! Each time Alimentaria is held (that’s every two years, and I’ve been to 6 or 7 in the 15 years I’ve been living in Spain) there is something new to report: certainly a host of new wines; probably a new DO or two; unknown bodegas suddenly hitting the headlines; and even some hot gossip too! Well, you can hear and read all about it in the media outlets above, plus here of course as well! HOT NEWS – the International Wine and Spirits Competition (IWSC) has appointed me as one of their International Wine Judges! I’ve just returned from London having been invited as a judge onto the Spanish Panel of Decanter Magazine’s deciding on medal placings for the 2007 vintage Rioja. My fellow panelists included at least two Masters of Wine (MWs) along with other luminaries from the wine world. Confidentiality prevents me from naming the winning wines from the 90+ that we tasted, until after the March Decanter Magazine goes to print. However more about this two day judging event will be posted here soon, including the names of the other judges and some general comments about the standard of Rioja red wines from this officially recognised ‘Very Good Vintage’! Watch this space! 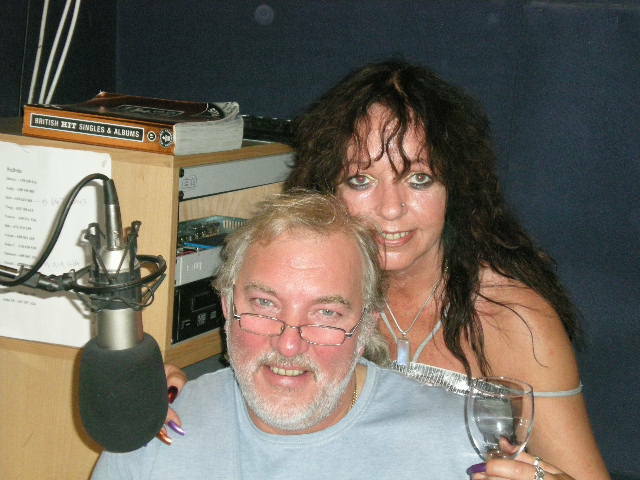 Next Bay Radio Live On-Air Wine Tasting! November’s on-air wine tasting during Bay Radio’s Sunday Brunch Programme will take place on Sunday 20th November starting as usual at 12:00 noon. Presenters, Noelle and Bob are always ready for a good glass of what is becoming their favourite tipple and it’s my job to recommend wines to accompany Noelle’s Recipe of the Week. It’s informal, listener-friendly, informative and entertaining too! Why not listen on the radio or by internet – www.bayradio.fm Click Listen Live? You can even call the studio to ask any wine questions you may have and therefore be a part of the show! A super tapa served in bars and restaurants throughout Spain is here elevated to a higher plain by the award winning chef at Javea’s Restaurante. Sunday Brunch Presenters, Noelle and Bob - with empty glasses! However there are simple (and therefore inexpensive!) wines that will match this dish well. Classic for tortilla, without the sauce, would be a fairly bland Spanish white, one from La Mancha made fro Airen, for example. However the sauce, with it’s garlic and a hint of heat from the Guindilla, means we could also choose a rosado. Coincidentally I tasted one yesterday, in situ at Bodegas Castaño, DO Yecla, that would admirably fit the bill – try Dominio de Espinel from Bodegas Castaño. Judging again soon, this time in London! I’m delighted to have been invited to be a guest judge on the Spanish Section Panel of the World’s Best Wine Magazine, ‘Decanter’, for their forthcoming Rioja 2007 Vintage tasting! I’ll be rubbing shoulders with several leading commentators on Spanish Wine, including at least two Masters of Wine, and having an equal say regarding judging the entries from the DOCa La Rioja 2007 Vintage. It’s a great honour and you’ll be able to read about it here when I return from London Town at the end of October.